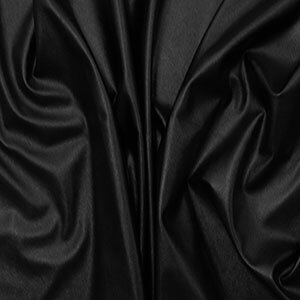 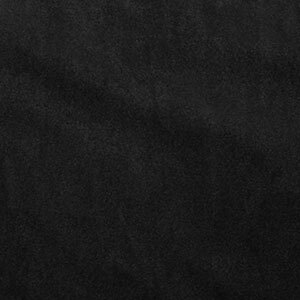 Black color poly spandex blend faux vegan leather. 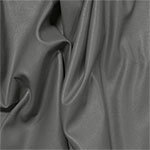 Fabric has a textured, small pebble matte surface on the front and a soft spandex knit backing in a black color. 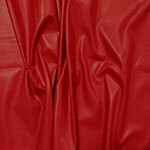 This is a medium weight with a small mechanical stretch. 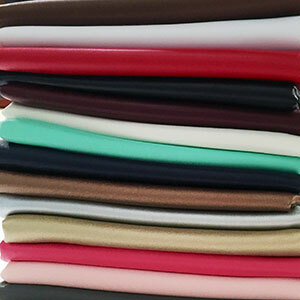 Great for apparel, accessories, and more!